The Dawoodi Bohra Community hailing mainly from Gujarat in western India traces its ancestry to early conversion during the reign of Fatimid Caliph Imam, al-Mustansir in the 11th century. The early converts of the eleventh century comprised of a single group owing allegiance to the al-Dai al-Mutlaq in Yemen, the head of the religion. In the 16th century, the seat of al-Dai al-Mutlaq moved from Yemen to India and has remained there since. The al-Dai al-Mutlaq operates as the sole representative of the secluded Imam as such has a great influence on the history, faith, and practices of the Bohras. They are called "Dawoodi" after their twenty-seventh al-Dai al-Mutlaq Syedna Dawood ibn Qutubshah (d.1612). The word Bohra is derived from the Gujarati vohra, meaning, "to trade". The Dawoodi Bohras are reputed to be the best organised and wealthiest of all Muslim communities. The present al-Dai al-Mutlaq, Syedna Mohammed Burhanuddin has continued his predecessors endeavors with particular emphasis on strengthening the communitys Islamic practices and on the promotion of its Fatimid heritage. 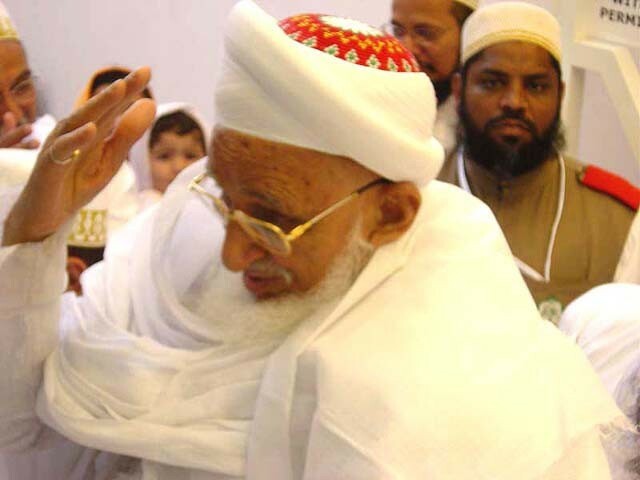 The religious hierarchy of the Dawoodi Bohras is essentially Fatimid and is headed by the al-Dai al-Mutlaq, who is appointed by his predecessor in office. The Dai appoints two others to the subsidiary ranks of Mazoon and Mukasir. These positions are followed by the rank of Shaykh and Mullah, both of which are held by hundreds of Bohras. An Amil (usually a graduate of the orders institution of higher learning. Al-Jamea-tus-Sayfiyah) who leads the local congregation in religious, social and communal affairs is sent to each town where a sizeable population exists. Such towns normally have a mosque and an adjoining jamat khana (assembly hall) where socio-religious functions are held. The local organisations that manage these properties administer the social and religious activities of the local Bohras report directly to the central administration of the al-Dai al-Mutlaq based in Bombay, called al-Dawat al-Hadiyah.